Add the perfect chairside companion to your living space with this round corner table. 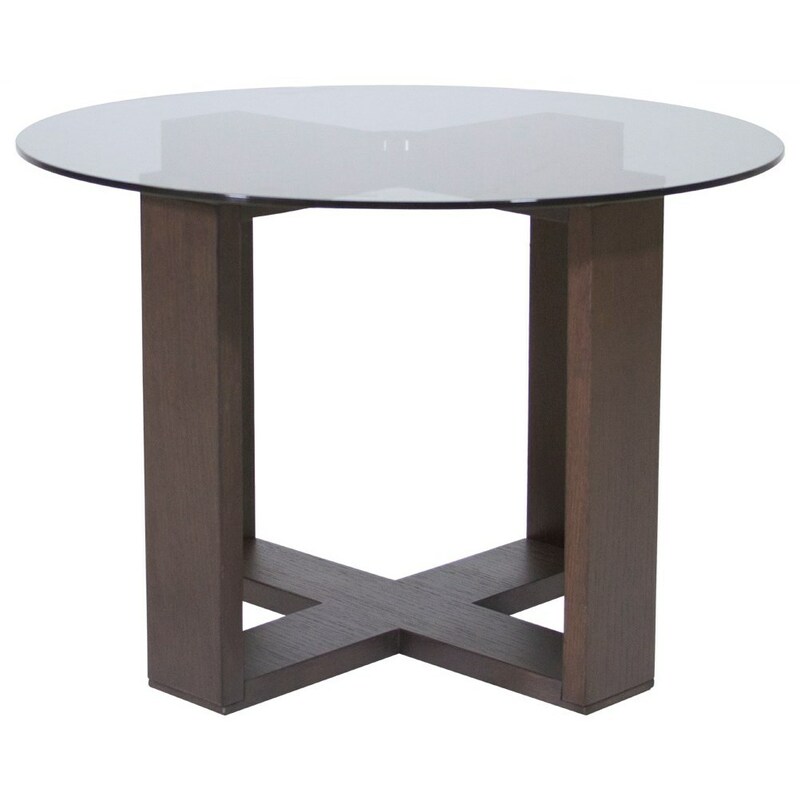 An x-shaped base features a brown oak finish and the smoke finished glass top gives this piece a contemporary design. The Amarone Corner Table by Natuzzi Editions at HomeWorld Furniture in the Hawaii, Oahu, Hilo, Kona, Maui area. Product availability may vary. Contact us for the most current availability on this product. Browse other items in the Amarone collection from HomeWorld Furniture in the Hawaii, Oahu, Hilo, Kona, Maui area.